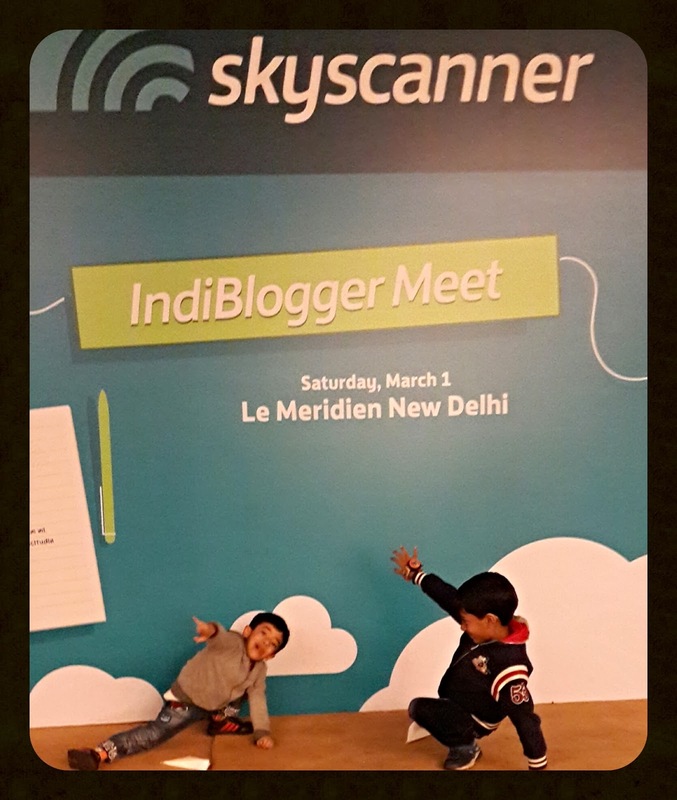 Yet another IndiBlogger meet has just culminated. 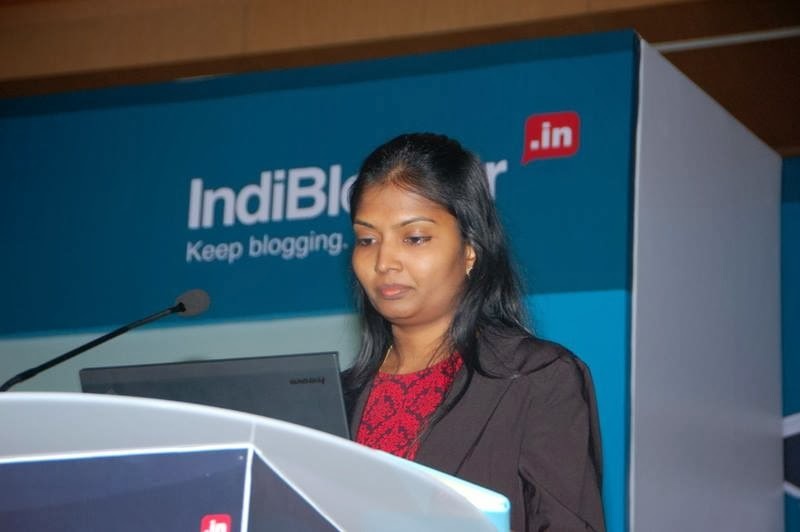 Beyond the usual hoopla of introducing a new client and their product or service offering every time, IndiBlogger scores pretty decent in engaging the blogger community in India. Everyone has good fun apparently, and that's the whole point. Plus what wonderful hospitality! Anyone who has frequented the last few IndiBlogger meets in Delhi would tend to agree that the venues (read "chic 5 star hotels") are best in class ... and no-no, that's not the foodie in me talking! Take Le Meridien Hotel for instance. 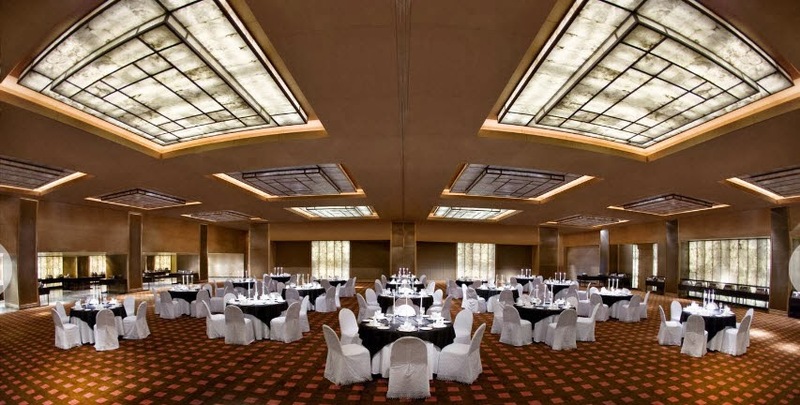 On March 1, the Sovereign ballroom housed over 400 of Delhi's finest bloggers. That's a crazy number by any standard. 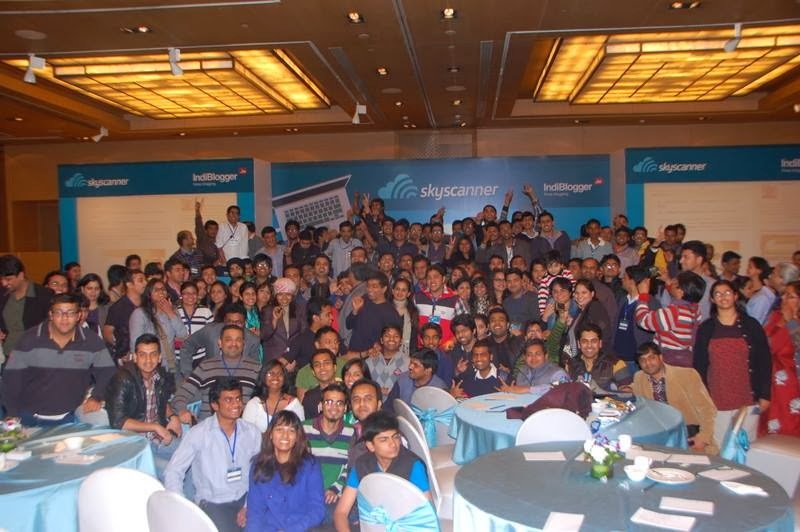 The "biggest" IndiBlogger meet was sponsored by Skyscanner - a passenger flight, hotel, and car hire search engine. Since I also work for a leading travel company, I was intrigued to hear their success story. Skyscanner offers a multilingual site and app that allows users to browse for flights, hotels, and cars in over 30 languages, including Chinese, Russian, Portuguese, Polish, Spanish, and Japanese. 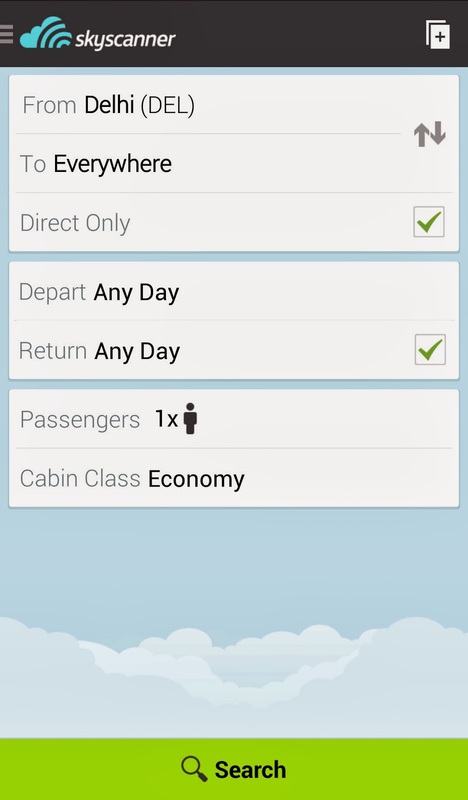 After downloading the app from the Play Store, it took me awhile to figure out that Skyscanner does not sell flights directly; however, you can find the cheapest deal for a desired route, after which you are automatically redirected to the airline or travel supplier’s website to make a booking. Pretty neat! Post registration and lunch, we were introduced to Kavitha Gnanamurthy, Senior Marketing Manager at Skyscanner Singapore. We got to know that the company was headquartered in Scotland, United Kingdom, with offices in Edinburgh, Glasgow, Singapore, Beijing, Miami, and Barcelona. In fact, Singapore is their headquarters for Asia-Pacific operations. The deal was: if you tweet your favourite travel pictures with you in it, you could end up winning a return flight ticket to any domestic location of your choice. 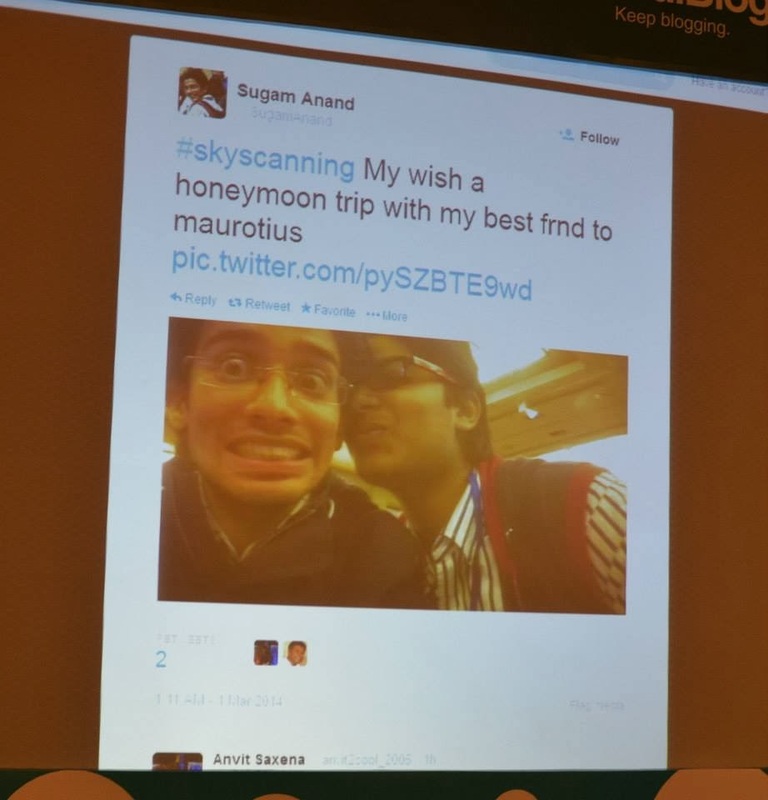 It was mandatory though to use the #skyscanning hashtag in the tweet. One winner was randomly chosen from the several who managed to send in their pictures in time. The fun quite didn't end there. 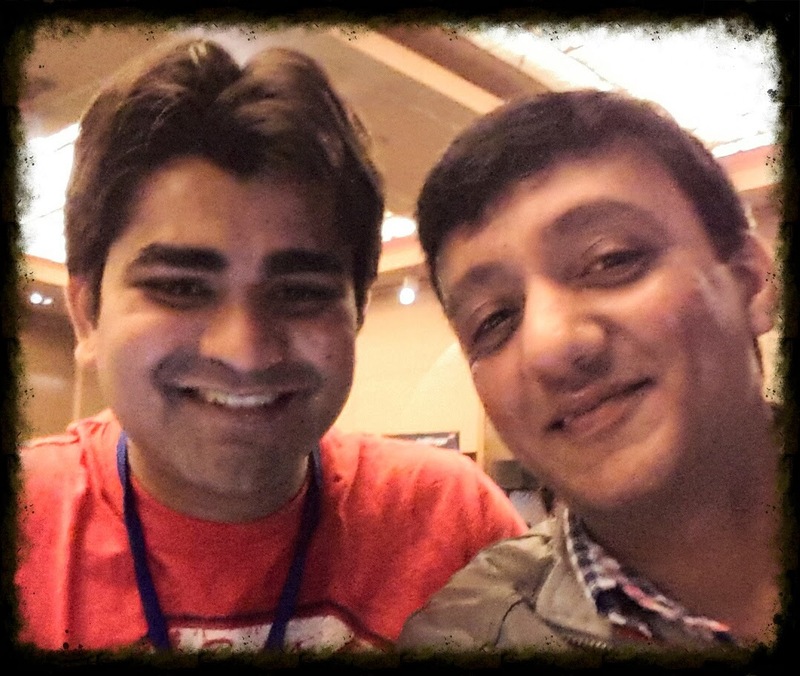 We were asked to click selfies with another blogger at the venue, whom we thought made for a great travel companion. There were domestic flight tickets at stake again. Any guesses who won? The Selfie winning entry - "bromance"
Then came the stage fight, where six teams were divided and leaders from each team were chosen. The task was to find out the names of cities or countries from a deck, and come up with the cheapest fare for the entire route/itinerary (to and fro). I volunteered to become the leader for Team #3 (Skychainers). We put up a great show and were the self-proclaimed winners :)). 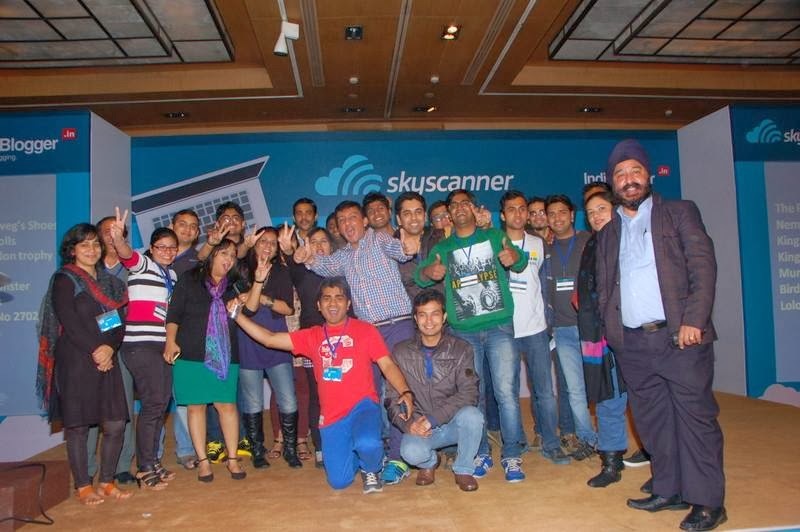 The winning team (#5) came up with the cheapest fare of INR 4+ lacs, which was much closer to the real deal. The mic was later passed to enthusiastic bloggers, who narrated their travel stories one by one. 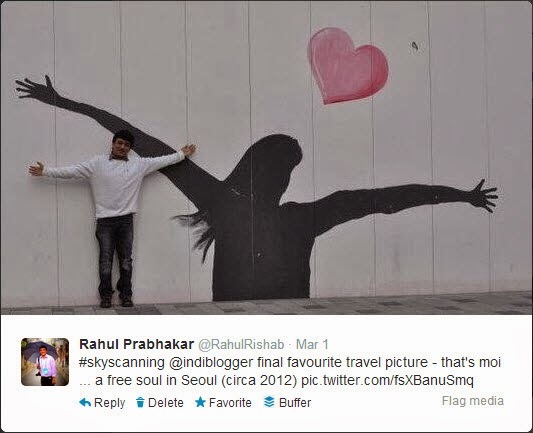 I couldn't help but talk about my South Korean escapade. For the uninformed, I spent seven youthful years of my life (from 2005 to 2012) in the Land of the Morning Calm. Post hi-tea at 4pm, an open panel discussion was held, wherein hot topics like the safest countries for women to travel were discussed. Finally, in the true tradition of all IndiBlogger meets, a group photo session took place and freebies like T-shirts and bags were distributed to all and sundry. This was my first indiblogger meet!I entered quite hesistantly.being a new blogger didn't know many.My food blogger friends who were to meet me here had change of plans.But the meet turned out great as I came out friends with many!How nicely you have described the meet.Crisp and clear.congrats on your win! Thanks Harpreet. I am sure there is a lot to learn from one another. Btw, food is an interesting topic to blog about. Being a foodie, I can tell you that I'll be frequenting your blog starting today. Nice read and it was really fun filled get together. hope to meet u in next meet! Sure, Jasmeet. 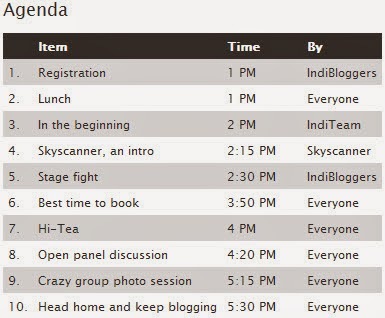 Would love to chit-chat at the next IndiBlogger meet.